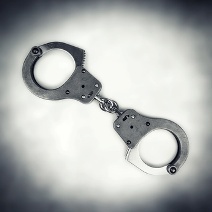 I am regularly asked the question – “Are restraints in an employment context enforceable”? A restraint of trade clause is presumed void as it is against public policy to prevent a person from working. However, all is not lost! Restraints are enforced by the court when the employer has a genuine interest to protect, and, the restraint is no wider than needed to protect that interest. For a restraint clause to be enforceable, it must be carefully drafted taking into consideration all the facts about both the employer and the employee. Accordingly, it is important that a restraint clause not be a standard “off the shelf” clause as it may fail the test of reasonableness imposed by the courts. When entering an employment contract with key employees , legal advice should be sought to protect the business. If you are considering enforcing a restraint against an employee, advice should be obtained as to the prospects of success and the size of the damages that could be recovered from the employee.